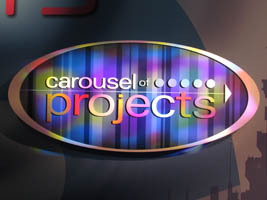 We attended the D23 Expo this past weekend, and one of our favorite parts of the event was the Carousel of Projects (below, left). 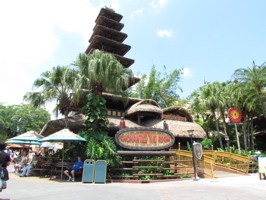 This area provided a look at different projects in many areas of the company, including Aulani at the Disney Vacation Club and Fantasyland at Walt Disney World’s Magic Kingdom. 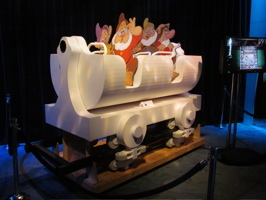 The Fantasyland expansion includes the Seven Dwarfs Mine Train (below, right), we have video that shares how it will work. 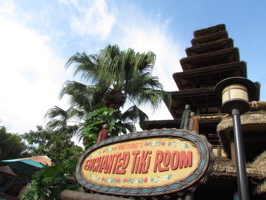 We put up an Enchanted Tiki Room update yesterday, and will be back tomorrow for it’s official grand opening! 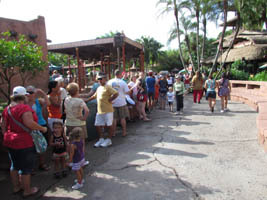 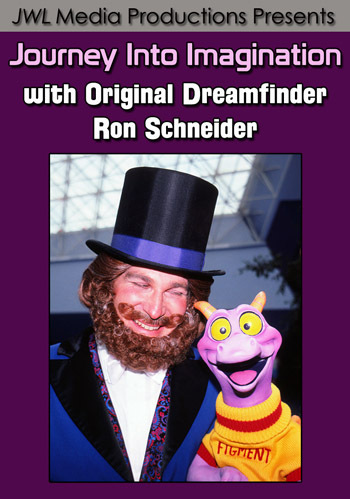 In the meantime, here are some photos from the Fantasyland expansion. 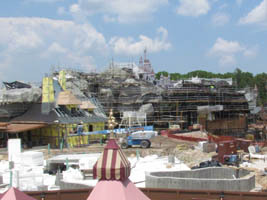 From Dumbo The Flying Elephant, you can see a great view of Beast’s Castle, along with Belle’s Cottage (below left). 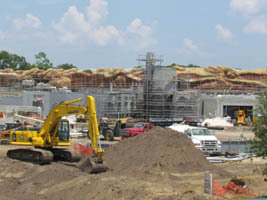 Work is going on in front of the Little Mermaid building (below, right). 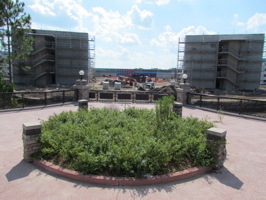 We went to Disney’s Pop Century Resort (below, left) to take photos and video of the continuing progress on the upcoming Disney’s Art of Animation Resort (below, right). 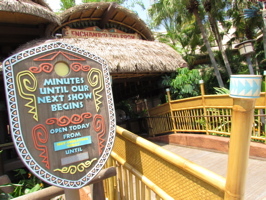 The resort’s sections are themed after The Little Mermaid, The Lion King, Finding Nemo, and Cars. 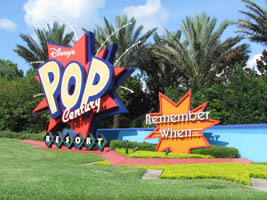 The Little Mermaid area is the only one that will have standard rooms as opposed to suites, utilizing the former buildings that were built originally for Pop Century’s never-built “The Legendary Years”. 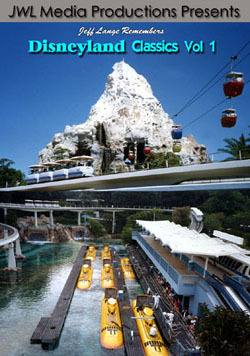 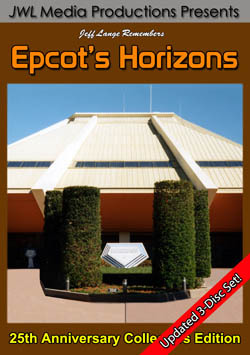 This week we chose a different location for most of our Magic Kingdom photos and video, Disney’s Contemporary Resort. 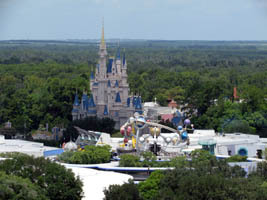 We went to the roof to get a great view of the Magic Kingdom (below, left). 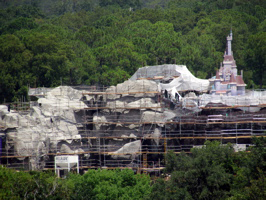 Beast’s Castle looks much smaller from a distance (below, right). 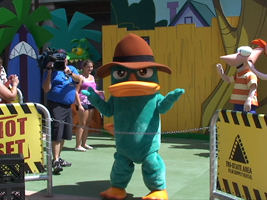 Agent P (Perry the Platypus) paid a one-day visit to Disney’s Hollywood Studios today to promote the new film, Phineas and Ferb: Across the 2nd Dimension. 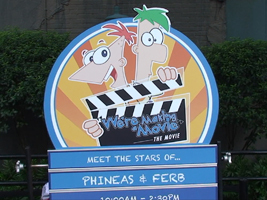 He actually only spent a total of an hour out with Phineas and Ferb (below, left and right), so not all guests were lucky enough to get a chance to meet him. 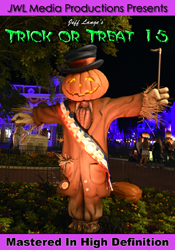 We didn’t meet him either, but were able to enjoy watching him for his 20 minute stint.